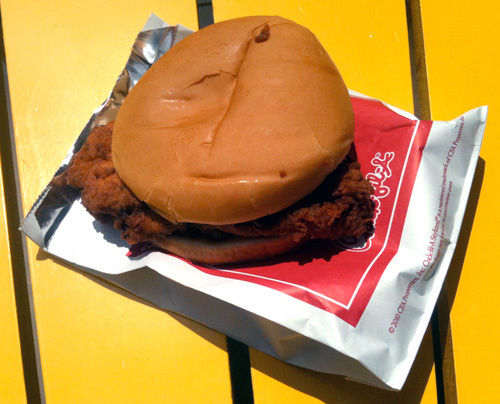 I have had a love affair with the ultimate spicy chicken sandwich in the business for many years . . . it has always treated me so – so right with it’s delicately sweet bun, leaf of lettuce, smear of mayo and perfectly fried and deliciously spiced chicken breast. In a world ruled by burgers – it was my haven. It was my respite. It was my shelter. I would drive by it’s home and my Pavlov mouth would start to water – even if I was already full in the belly. It was perfection – and – our relationship was bliss. Then, something wonderfully disruptive happened . . . a new spicy chicken sandwich moved into town. I found myself looking over and past my old love to try to sneak a glimpse at the new hotness. My old sandwich seemed clunky and thrown together. It’s foibles – which I had found so endearing for so long – were now just blemishes. It’s halo’s shine was dull. It was nothing that I ever intended. It was nothing that I ever could have imagined happening . . . 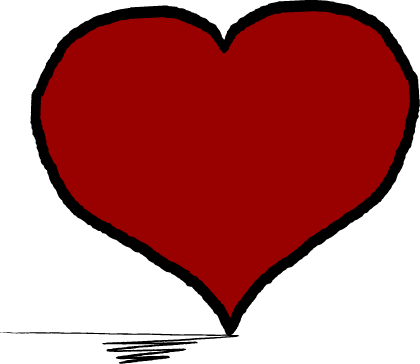 I was officially in love with two sandwiches – with my heart (and arteries) distinctly leaning much harder in the direction of the new – the exciting – the unknown. It was a delicate situation – and – I knew that I would have to deal with it. It wasn’t fair to any of us to keep the charade going. No one in this triangle deserved to be left hanging. Decisions would have to be made – and – they wouldn’t be easy decisions. After time, the wounds have healed – somewhat. I still see Wendy every so often – but – I know that it will never be the way that it used to be . . . because just over the fast food lunch horizon – there will always be the new Chik-fil-a spicy chicken sandwich beckoning me to come running. Chik-fil-a . . . you have made the best spicy chicken sandwich on the block. You get a gold star. You get a blue ribbon. I hope that you aren’t some sort of special trial offer – because – I would be lost without you . . . and – at this point – Wendy won’t have me back – and there is no way that I could possible stomach the garbage that they package as a spicy chicken sandwich at Burger King . . . it is truly the pits – but that’s a gripe for another day! This isn't a review. It's like a sonnet or something.